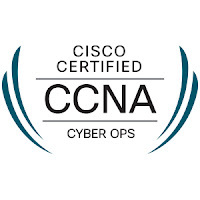 Finally achieved my Cisco Certified Network Associate Cyber Ops (CCNA Cyber Ops) Certification. 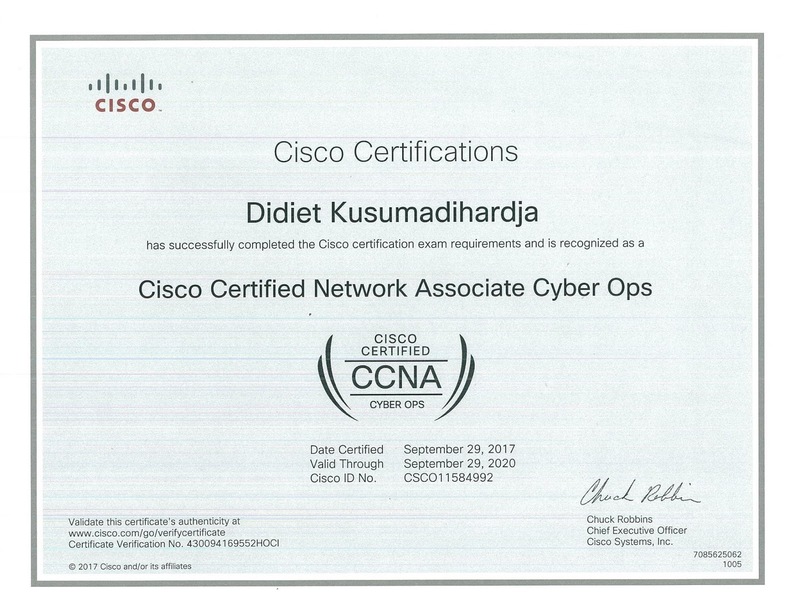 I got this by completing 2 Cisco exams (210-250 SECFND & 210-255 SECOPS), self-paced e-learning and mentoring from Tech2000. All these luxuries I get it from Cisco Global Cybersecurity Scholarship. A scholarship program from Cisco to help close cybersecurity skills gap. CCNA Cyber Ops is aligned with the job role of a Security Operations Center (SOC) Security Analyst. 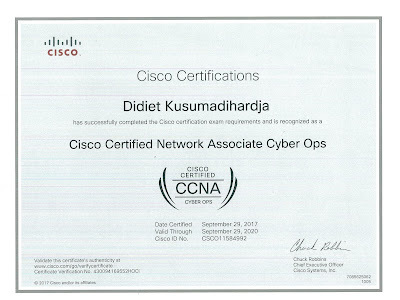 My certificate verification No. 430094169552HOCI. Verify my certificate here. Cisco, who has entrusted me to Cybersecurity Scholarship. Tech2000 Team (Dan Garfield, Daniel Krupicka, John Mauritz, and Jennifer Lacagnina), who has guided me with mentoring and coaching sessions.